Graves is being buffed next week—will it be enough to save him from extinction? He may have his cigar back, but that’s about all he has. He may be a gun-toting, cigar-smoking badass, but Graves is known for something else entirely nowadays—sucking. He has an abysmal 46 percent winrate, but still a respectable four percent playrate, according to League of Legends stat site Champion.gg. This places him among the worst junglers in the game on the North American server. So, to no one’s surprise, Riot is testing a buff on the PBE to launch with Patch 8.1 next week. But it might not be enough to save him. The buff will lower the cooldown on his Q, which is his primary damage ability and most useful for clearing camps as well as ganking. The buff isn’t much, though, as only one second per rank of the ability is dropping. The second part of the buff is jacking up the potency of the slow on his W, Smoke Screen. Rather than slowing from 15 to 35 percent depending on rank, it will now slow for 50 percent at all ranks. To compensate, the duration of the slow itself is being dropped from 1.5 seconds to 0.5, but this change still comes out as a buff overall. This will essentially give Graves some respectable crowd control to use in ganks, rather than only being slightly useful unless you actually use it to blind someone. He doesn’t really need that much more power in his ganks, however. 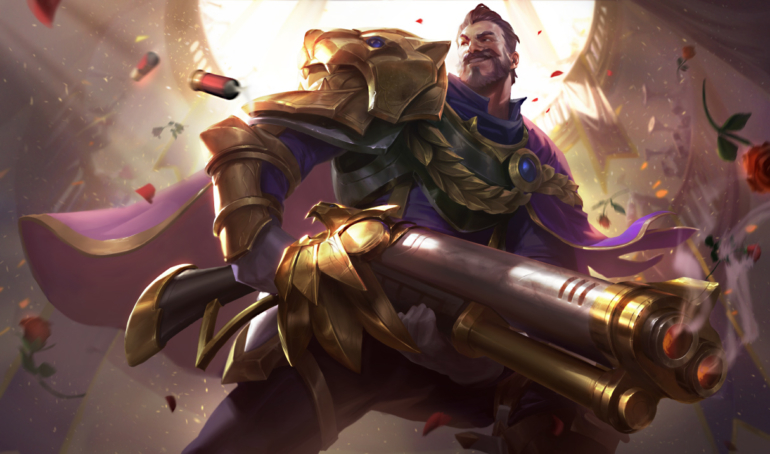 Graves’ main issues lie in two areas—his damage and his tankiness, neither of which these changes help. Graves was at the top of his game at the start of season seven in January of last year, but he quickly fell from grace when the lethality meta died out, and then even further when his passive was gutted in Patch 7.7. Afterward, his Q’s damage was drastically lowered in Patch 7.10, leaving him in a ruined state. That being said, he certainly has a lot of ground to cover before he’ll ever be considered meta, and a slow increase on his W and a one second cooldown reduction on his Q probably won’t be sufficient to get him there.